This story originally appeared on Oct. 4, 2016. September 2016 marked the 36th anniversary of the start of the Iran-Iraq War, which killed hundreds of thousands of people between 1980 and 1988. Most people don’t know that this brutal conflict also saw a great number of friendly-fire incidents on the Iranian side — especially during the first few months of hostilities. 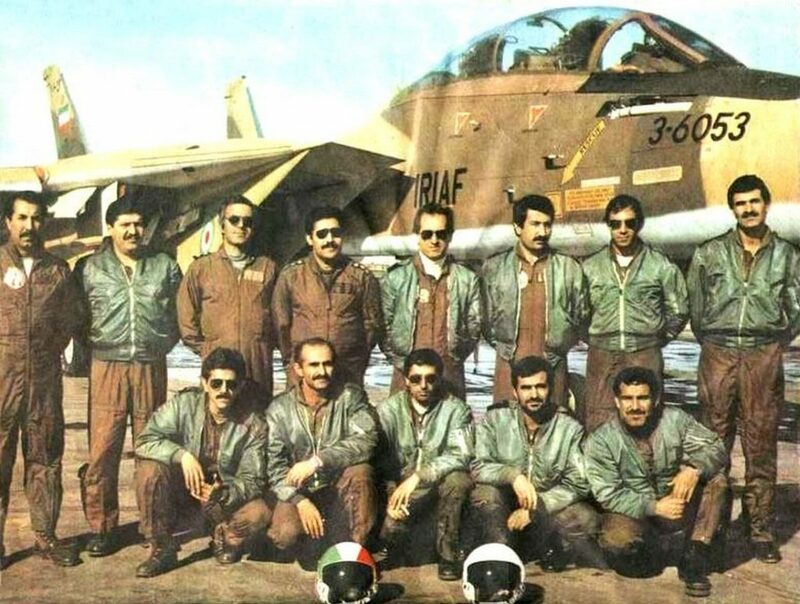 Fratricide was the biggest killer of Iranian air force pilots in the early stages of the air war that began on Sept. 20, 1980 when Iraqi air force fighter-bombers struck a dozen Iranian military bases by surprise. The next day, the Iranians launched the largest strike package in its history, dubbed “Kaman-99.” The force of some 140 warplanes hit Iraqi air bases and army garrisons with no losses to enemy fire. But on their return leg, many fell victim to friendly fire due to a lack of coordination, shoddy command-and-control and a deep panic that had gripped Iranian forces on the ground. The friendly-fire incident took its worst toll on Iranian F-4D/E and F-5E fighters and their pilots flying close-air-support missions over the crowded front line. On Sept. 21, 1980, Iranian forces shot down at least four friendly F-5Es. 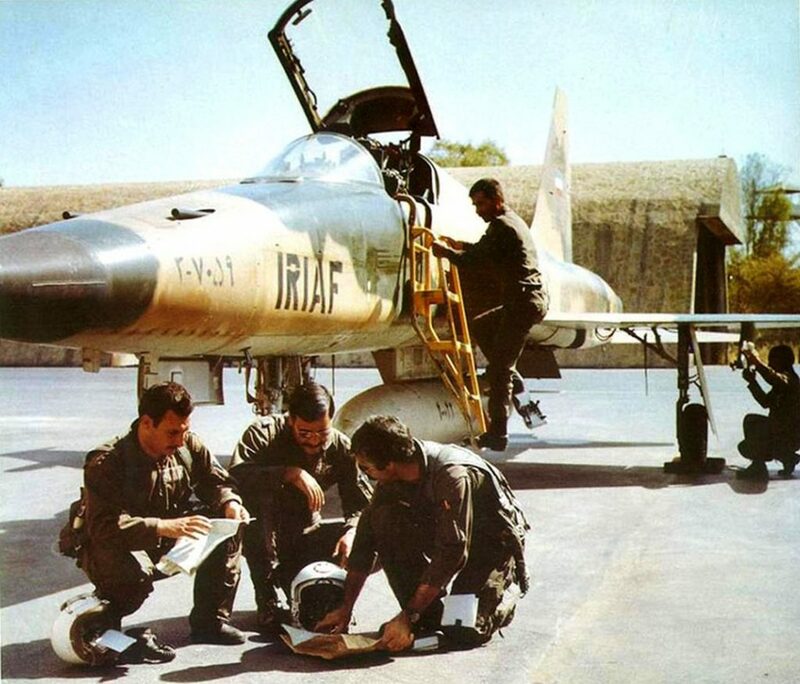 Most of the time, Iranian pilots were unable to reach safer high altitudes due to Iraqi threats — and had to return to base while zooming just 100 or 200 feet above the ground. That exposed them to jumpy Iranian gunners who would destroy a plane … and then keep shooting at the pilot as he ejected. Records indicate the Iranian air force lost 67 of its combat pilots in course of around 1,000 close-air-support sorties between Sept. 22 and Oct. 23 of the first year of the war. Of these, 39 were F-4D/E crews and 28 were F-5E pilots. Thirty went down over highly-contested territory in southwestern Iran — many after being struck by Iranian fire. The irony is that Iranian air force’s fighter-bomber pilots were actually safer during their sorties deep inside Iraqi air space. An estimated 44 Iranian pilots were killed or captured while performing “special mission” strikes inside Iraq in the same period. The main contributor to blue-on-blue incidents was the lack of effective command and control. Add to this deadly mix the panic that had afflicted Islamic revolutionary guardsmen who, having received very little training, would shoot at anything that flew over their heads. Friend or foe. The lack of coordination among different units responsible for management of Iranian air space eventually claimed the deputy commander of the Iranian air force Col. Abbas Babaei. He was shot down and killed by a guard-corps anti-aircraft-artillery unit while flying a routine forward-air-control sortie in the back seat of an F-5F in August 1987. In many occasions, Iranian fighter aircraft were vectored to intercept friendly aircraft. “More often than not, delayed communications between our military transport aircraft involved in medevac sorties and ground control radar stations meant that our airborne or [quick-reaction-alert] fighters had to be vectored to intercept these ‘unknown’ bogeys,” Iranian F-14 pilot and double ace Col. “Ferry” Mazandarani recounts. “In one of these incidents in late October 1980, an unknown bogey showed up on my F-14’s radar as I was flying a [combat air patrol] sortie west of Dezful air base in the southwest of Iran. The unknown aircraft was 120 miles to the west of my position and the [radio identification] system was unable to tell me whether this bird was friendly or foe. “Therefore I relayed its speed, heading and altitude to two different [ground-control-intercept] radars to re-verify its status. Both GCI controllers declared it as a hostile/bandit aircraft and ordered us to engage it. My [radar-intercept officer] 1st. Lt. Y. Ahmadi and I prepared the systems for a [beyond-visual-range] engagement while planning for a possible re-attacks in case the missile missed. “Around 70 miles to the target, I realized this bandit has been keeping a steady speed and 500 feet of altitude all along. This fact alone made me contact the GCI stations once again to get further confirmation. The response was the same. ‘It is a bandit. You are authorized to kill.’ While I could have launched an AIM-54 Phoenix at the low flying bandit, its speed and altitude caused me to hesitate. I wanted to Kashget a [visual] I.D. on it, as well. Mazandarani’s foresight probably helped save the lives of pilots of a badly damaged F-4E whose IFF and radio were inoperable due to ground fire. They were lucky. There is, however, only one case of air-to-air engagement between two Iranian aircraft during the war with Iraq. On March 16, 1985, an F-4E from Hamedan air base piloted by Capt. B. Akbari shot down another F-4E from the same air base over the front line. Both the pilot and the back-seat weapons-system officer were able to eject, but gunners on the ground targeted and killed the pilot, Capt. Fath-Nejad, as he parachuted down. The WSO survived with minor injuries. The saga of blue-on-blue incidents continues to challenge the Iranian air force. There have been ample rumors around as to what caused F-14A serial number 3-6062 to go down in flames over Bushehr’s nuclear facilities in 2012. While one side vehemently blames pilot’s vertigo for the mishap, the other side passionately blames the Islamic Revolutionary Guards’ Tor-M1 air-defense missile battery for its fiery crash. Kash Ryan is the author of Air Combat Memoirs of the Iranian Air Force Pilots.